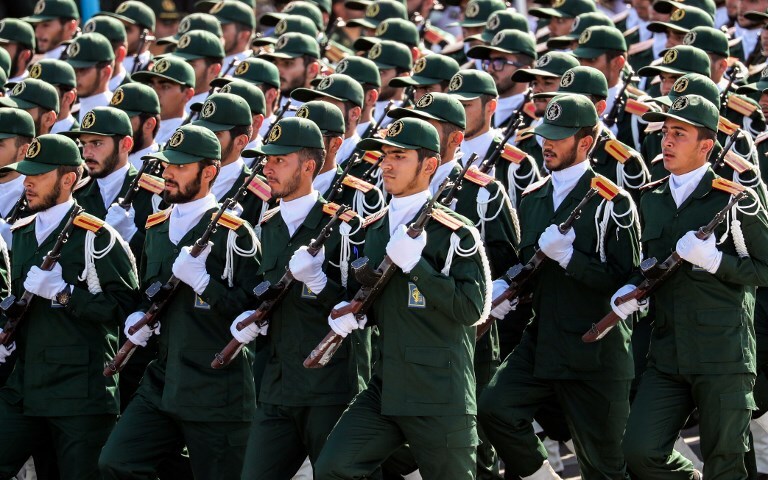 Iranian state TV reported that Iran’s Revolutionary Guard ground force launched a drill Saturday near the strategic Strait of Hormuz, the passageway for nearly a third of all oil traded by sea. The report said the guard’s forces will use combat helicopters and drones around Qeshm Island at the mouth of the waterway. The annual war game, dubbed “The Great Prophet,” came a day after the USS John C. Stennis, a US aircraft carrier, sailed into the Persian Gulf on Friday. Throughout the carrier’s trip Friday, some 30 Iranian Revolution Guard vessels trailed the Stennis and its strike group. One small vessel launched what appeared to be a commercial-grade drone to film the American ships. Photographers and videographers on the Iranian boats could clearly be seen also filming the Stennis while journalists on board the aircraft carrier filmed them. The strait at its narrowest point is 33 kilometers (21 miles) wide, in the waters between Iran and Oman. Despite being so narrow and within the territorial waters of those two nations, the strait is viewed as an international transit route. American forces routinely travel through the area, despite sometimes tense encounters with the Revolutionary Guard, a paramilitary force answerable only to Supreme Leader Ayatollah Ali Khamenei. Tensions have been high since US President Donald Trump’s May withdrawal from Iran’s nuclear deal, which saw sanctions lifted for Tehran limiting its uranium enrichment. Iranian President Hassan Rouhani, a relative moderate within the country’s Shiite theocracy whose major achievement was the deal, has repeatedly warned any attempt to stop Iran’s export of crude oil could see it close off the strait.